Tim Bradley | October 20, 2016. In 2002, the Netherlands became the first country in the world to decriminalize euthanasia and physician-assisted suicide (PAS) for patients who meet criteria set forth by the law, such as that they endure “unbearable” suffering with “no prospect of improvement.” Now the Dutch government is pushing to expand eligibility to include individuals who have no medical condition but nevertheless feel that their life is completed. Dutch health minister Edith Schippers read a letter to the Dutch Parliament on October 11 defending the proposal. Despite a report from a government advisory committee earlier this year that there was no need for the state to expand eligibility for euthanasia and PAS because of how expansive the current framework is, Schippers informed parliament that Prime Minister Mark Rutte’s government intended to draft a law to do just that by the end of 2017. 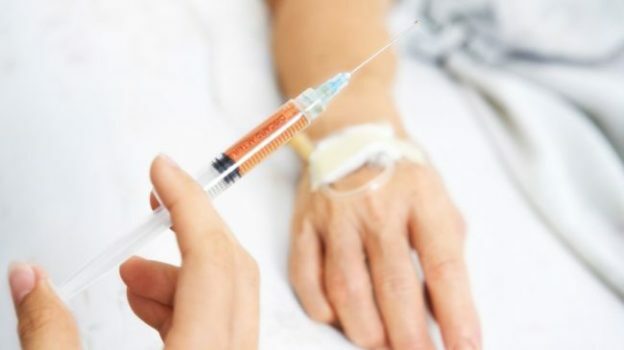 NL Times reporter Janene Pieters writes, “The Dutch government wants to adjust the Euthanasia Act so that people who aren’t sick, but feel that their life is completed, can end their lives with assisted suicide. This will only be allowed under ‘strict and rigorous criteria,’ the government wrote to parliament.” Pieters notes that most parliamentarians support the proposal. Current Dutch law requires doctors to act to euthanize or assist a patient’s suicide only if the patient’s voluntary request is persistent, the patient is suffering unbearably with no prospect of recovery, and another doctor was consulted about the patient’s request. Children between the ages of 12 and 15 are permitted to request euthanasia or PAS with parental consent, while children over the age of 15 do not need parental permission before seeking to end their lives with a doctor’s help. The National Catholic Register reports that the Dutch proposal maintains that people who “have a well-considered opinion that their life is complete, must, under strict and careful criteria, be allowed to finish that life in a manner dignified for them.” The report also notes that the proposal is said to be limited to the “elderly,” but that no concrete age limit was offered. Euthanasia and PAS have already expanded well beyond the original restrictions enacted in 2002. Already, not only those facing terminal illnesses but also those living with mental health issues and dementia are requesting euthanasia and PAS. Earlier this year, a young woman in the Netherlands was euthanized after several doctors and psychiatrists declared her mental health condition “insufferable.” She had been sexually abused from the age of five to 15, leading to her suffering from post-traumatic stress disorder and anxiety. This woman is not alone: in 2015, 56 people were euthanized in the Netherlands because of “insufferable” mental health conditions. Euthanasia and PAS accounted for 5,516 deaths in the Netherlands in 2015, almost four percent of all deaths in the country. That number has increased steadily since decriminalization in 2002, and promises to further increase in the future should the Dutch government’s proposal for more lenient practices become law. John Keown, Rose F. Kennedy Professor of Christian Ethics in the Kennedy Institute of Ethics at Georgetown University, explains the logical implications of permitting voluntary euthanasia and PAS. “Respect for autonomy is at the forefront of the case for legalization,” Keown writes. “But no responsible doctor would euthanize a patient merely because the patient autonomously requested it. The doctor would agree only if the doctor judged that death would indeed benefit the patient, because the patient’s life was no longer ‘worth living.’” As legal restrictions such as those in current Dutch law make clear, only some autonomous requests are to be respected, and not others. So it comes as no surprise that the Netherlands seeks to expand eligibility for euthanasia and assisted suicide even further, and it will likely not be the last time it does so. The examples of the Netherlands and Belgium serve as a stark warning to those who think that these lethal practices can be controlled, and to those governments moving forward with legalizing the practice.